This work is an observation of the current situation, specifically European. From a Spanish point of view, I have analyzed social hierarchies and conflicts, economic and cultural, as well as stereotypes. It portrays a specific moment in the European oligarchy. 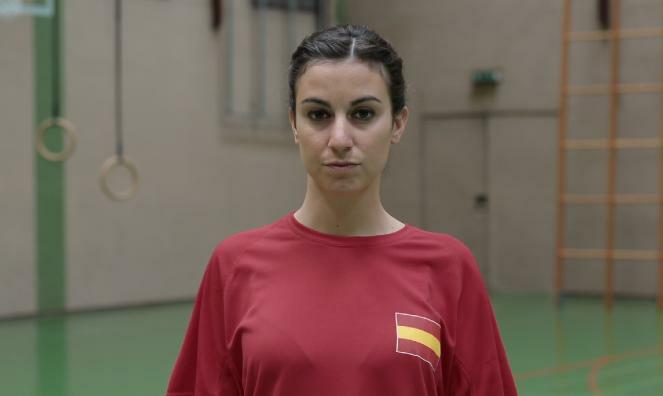 In the video we see a fictional Olympiada in which different countries compete, in this case we see Spain competing in something that might be called "singing in German." Currently certain economic systems dont,t work longer and others are been imposed, but can we follow models that have a different history behind (Hintergrund)? Can Spain follow the German model? Can be imposed cultures or ways of being? In the video a girl will sing a song called "We're not crazy" from Ketama, a song that became very popular in Spain after the crisis of 92. The lyrics of the song has a kind of hedonistic and stereotype atmosphere that represents the idea of spanish or latin people, an idea that unfortunately has projected Spain by the crisis. The only ones who could understand the lyrics could be spanish immigrants (in Germany) or people who knows the language of German, and the Germans of course, but they will notice that it sounds strange for them (Fremd). The spanish lyrics are from the song "We're not crazy" which is sung in German in the video.